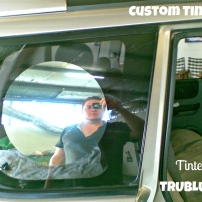 1300GETTINT by Trublutint specialises in high end Window Tinting for the Home, Office and Vehicle as well as supplying vehicle Aftermarket services. Trublutint was founded in 2008 by Truman Peacock. It all began with a simple passion for all things automotive, the end result became a committed and strong small business that prides itself on providing the highest quality products & workmanship in Window Tinting and Vinyl Wrapping with a commitment to offering a down to earth, yet professional service for its Brisbane's clients. 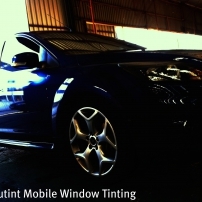 Main Services include Window Tinting - Home, Vehicle and Commercial, Vinyl Wrapping and Signage. They also re-sell and install Audio Equipment, aftermarket protection packs, car-detailing and accessories. *WINDOW TINTING- for your Home, Office, Car, bus, boat, plane, earth moving equipment, you name it if it's got glass we will tint it - We are proud supporters and users of Hanita Coatings films, for both Automotive and Residential work, the films come with a manufacturer's warranty covering the film for as long as you own the car or home, offering one of the best warranties in the market. *mobile service for automotive, enclosed garage or shed with access to power and water is required for this service. Unsuitable locations will be charged a call out rate, please confirm prior to booking. *THE INVISIBLE CAR BRA - PPF Clear Vinyl Paint Protection including invisible headlight protectors for cars & motorbikes - We love the SolarGard Clearshield Pro "The best protection you will never see." *NEW CAR PROTECTION PACKS - Interior Leather, Vinyl and Fabric, and Paint Protection available for clean vehicles under 12 months old. * DETAILING AVAILABLE We have a qualified detailer on board, and can arrange to give your vehicle that added love and affection at the same time as your Window Tint. Send us a message for your tailored quote.